El Paso TX – DNSC will be participating in the El Paso Business Conference Expo 2016 (EPBCX). DNSC will have a booth at the Exhibit Hall. Come join us at our booth from 9:00 AM – 3:00 PM and register for a free giveaway. The EPBCX 2016 will be held at the Judson F. Williams Convention Center. 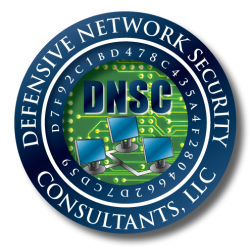 El Paso TX -The DNSC will be briefing at the El Paso FBI InfraGard Chapter meeting.&nbsp; The InfraGard chapter meeting will be held January 8th, 2013 (10:30-12:00 noon) at the Mesilla Conference Room located at: 10751 Montana Ave, El Paso TX. 2012 Conference. The conferece was held at the Las Cruces Convention Center on October 17-18th, 2012.